We're more than halfway through the month of January and I'm in desperate need of some color. To give myself a color fix, I'm sharing this photo I posted on Instagram this past fall. 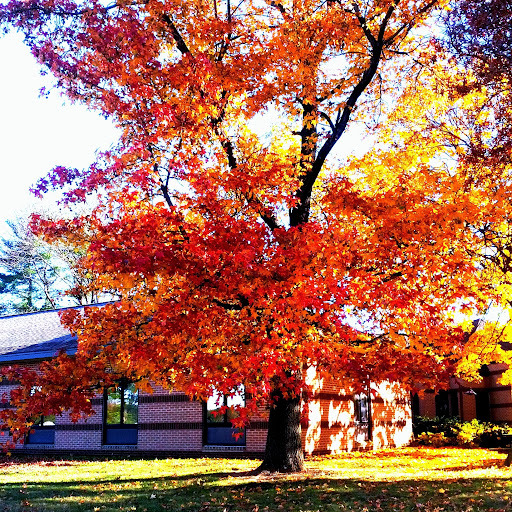 This tree stands outside my office, and I stopped to take this picture of it when the leaves were bursting in vibrant reds, oranges, and yellows. Just looking at the photo makes me feel better, more alive, which is good because I need every ounce of energy I have to get through the coming week. I've got multiple meetings and conference calls and project deadlines ahead of me, so I'll take any help I can get! I have a Menu Plan sketched out for the week, but given the amount of work I have to do, I won't be surprised if I just phone it in and order take-out. Especially since I'll be cooking for only myself until Stephen comes home from his business trip.